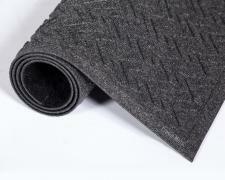 Similar to the Eco Step Mat, the Eco Plus Recycled Plastic Entrance Matting surface fibers consist of 100% recycled P.E.T polyester material and is backed with a 15% recycled rubber backing. With the eye catching herringbone pattern, this entrance mat will scrape shoes and keep the dirt and moisture contained below shoe level. 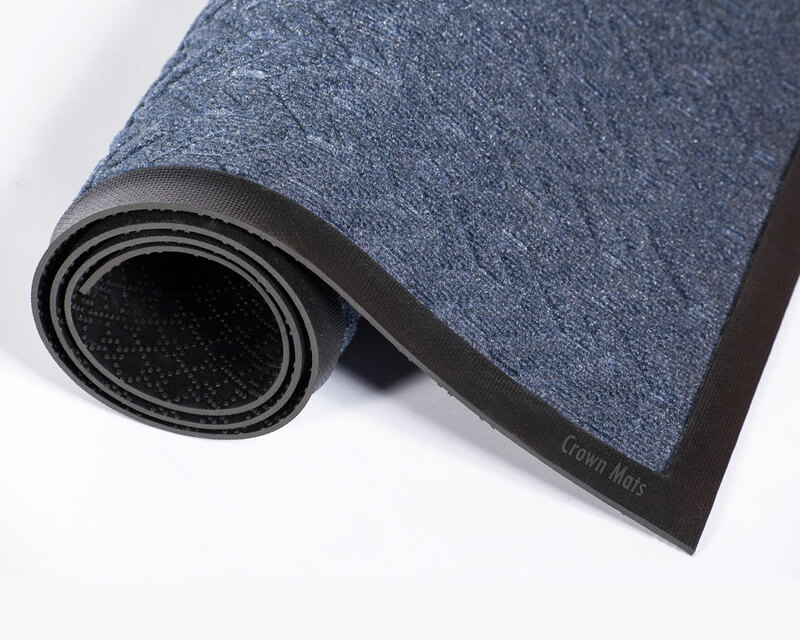 Four colors available with a choice of rubber or matching fabric dam borders preventing large abouts of liquid from spilling over onto your floors. The EcoPlus and Eco Step Mats are made from post consumer materials, helping prevent plastic bottles and tires from entering our landfills and preserving our natural resources! 1 sq. ft. = 4 bottles | 4′ x 6′ mat = 96 bottles | 6′ x 20′ roll = 480 bottles! Can’t find your size? 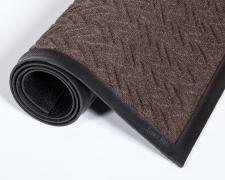 Call 1-800-810-7847 or email service@commercialmatsandrubber.com for a custom quote!